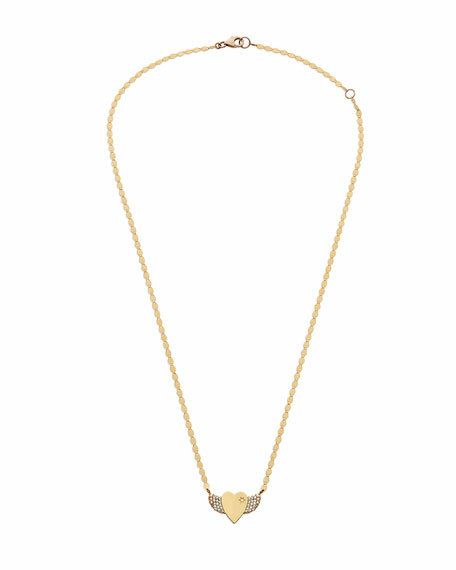 LANA small heart necklace from the Charmed Collection. Polished 14-karat yellow gold flat-link chain and pendant. 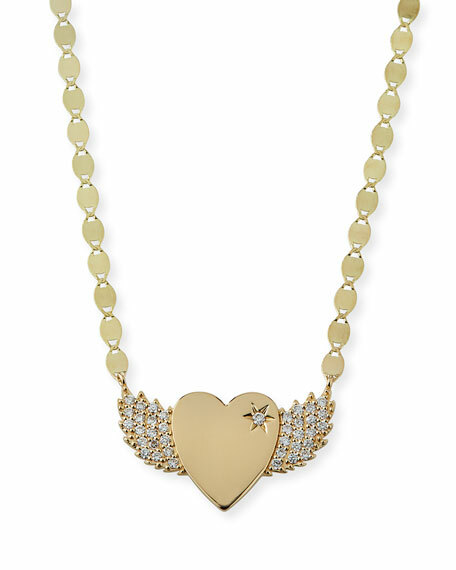 Integrated heart pendant with diamond pavé wings. One round prong-set GH-VSSI1 white diamond. 0.253 total diamond carat weight. For in-store inquiries, use sku #2490050.